I love laidback weekends when I can just let the outfit do all the talking (its also about time I add some colour back into my wardrobe!). This gorgeous marble print is the perfect way to break up a loose fitting T-shirt dress or tunic and it kind of reminds me of the day when everyone was rocking the marbled nails - a gentle reminder of how fast time flies. 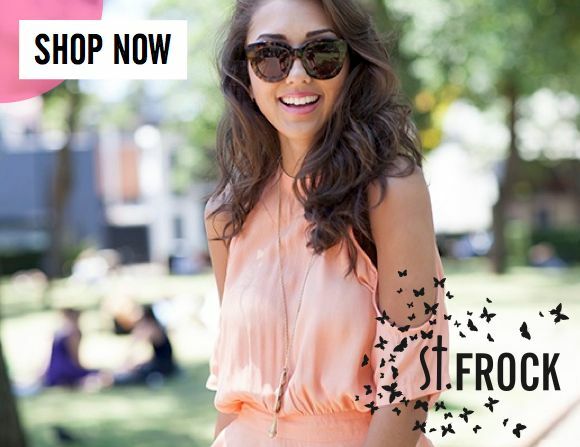 If you would like to see how you can get your hands on this top make sure you click here and follow me on Bluesky. All my latest looks from hereon will be uploaded to Bluesky where you can click and shop directly from my lookbook. Shopping just got a whole lot easier!! What do you guys think of the Blazer Dress? Yes? No? Hell Yes? Had some white on white action this week with the help of geometric mesh and a great pair of matching top and bottoms. It also turns out that I'm starting to become a big fan of pants (although the pants off Friday rule still applies). I've been loving cigarette shaped trousers/pants and how it looks with a basic pair of mules or strap sandals. What do you think of cigarette shaped pants? Yay, nay or okay? 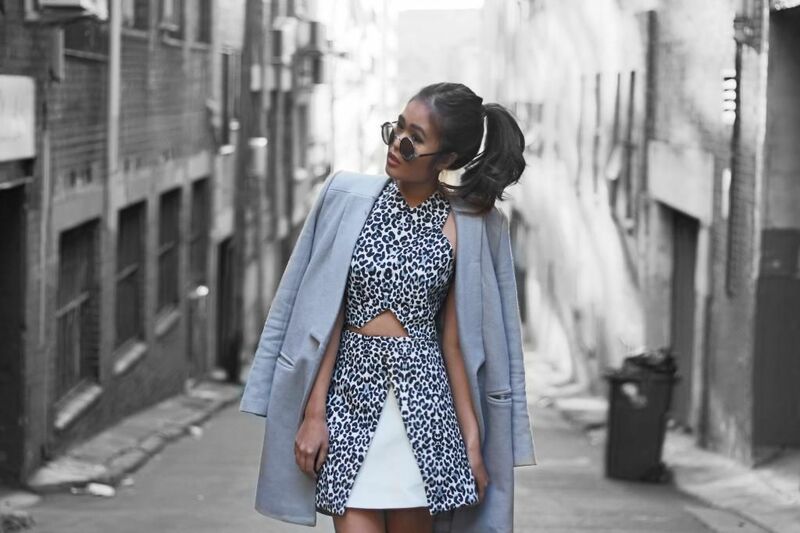 A snow leopard was on the loose last week in the infamous blogger alleyway of Surry Hills! Except, instead of snow, a black and white filter had to suffice. 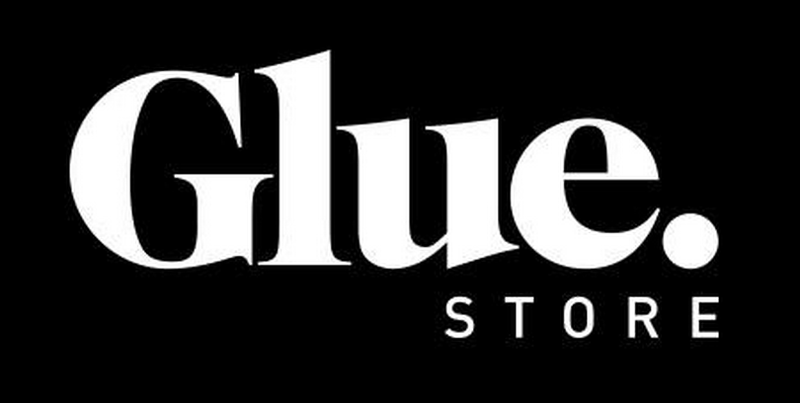 The past few months have been a whirlwind and I admit its been a while since I've done any physical shopping (or I guess anything physical for that matter..) so I may be behind on the news but Glue Stores now stock Cameo The Label amongst many other amazing auslabels! Hear that sound? It's the sound of my jaw dropping. I should really lurk my local stores more often. In other news, recently I've had some comments about my blog material and how its changed over the past few years. 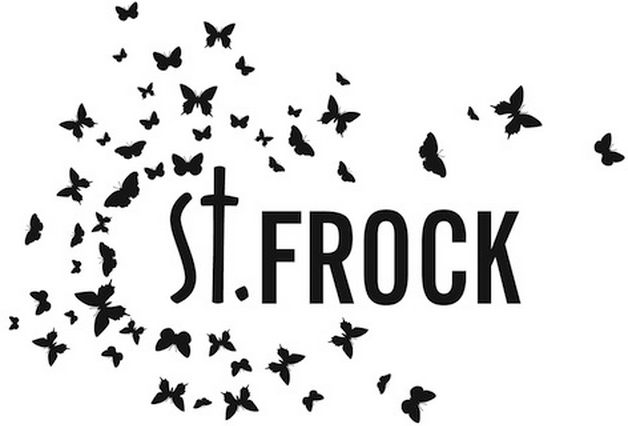 Although I do agree that this blog has evolved from a place of personal thoughts and life reminiscence to beauty reviews and outfit posts, it has never been my intention to not share meaningful material. I guess the more attention I started giving to fashion, the more I realised how ridiculously unaffordable most of my wishlist would aways be which made me realise that the point of difference I could offer was promoting things that were affordable and easily attainable for the every day girl, just like me! Is there something you would like to see more of on this blog? Let me know in the comments below and I'll send you all my love!! It's going to take a lot more than the rampant wind to steer me away from white crop tops and checkered skirts! I've been in a bit of a monochrome groove lately, mainly because black and white separates are so easy to mix and match but it can be quite hard to make a monochrome outfit POP on camera (and you know anniepop is all about the pop!) which is why shape and print is key. The asymmetric hem of the Blushop Checkered Skirt is a nice twist on a classic grid print. Team it with a cropped top or even a plain tee and you're ready for brunch ;) to see more affordable tops, bottoms and dresses make your way to Blushop Clothing by clicking here. 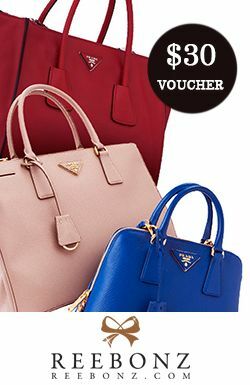 Also if you have a designer bag that you need to sell, sell it on Reebonz any time between now to the 20th of July and receive a lovely payout of 80%! Sign up here to find out more. 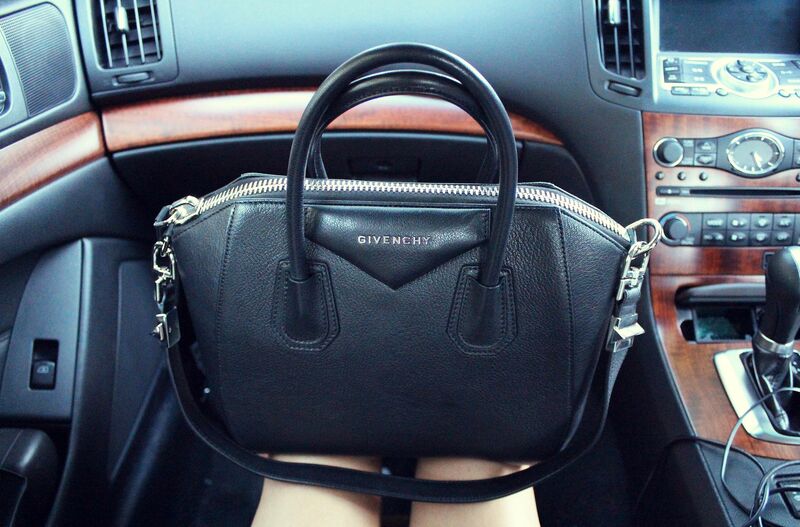 The Givenchy Antigona is and probably will always be one of my favourite bags. My current Antigona has lasted through the roughest of days and has remarkably still kept its original structure and girth. 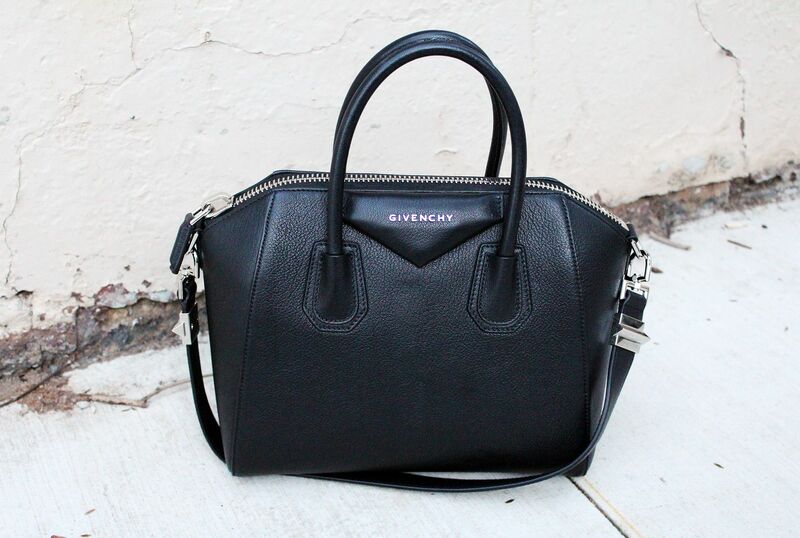 When girls ask me which bag is worth saving up for - my response is always the Antigona. 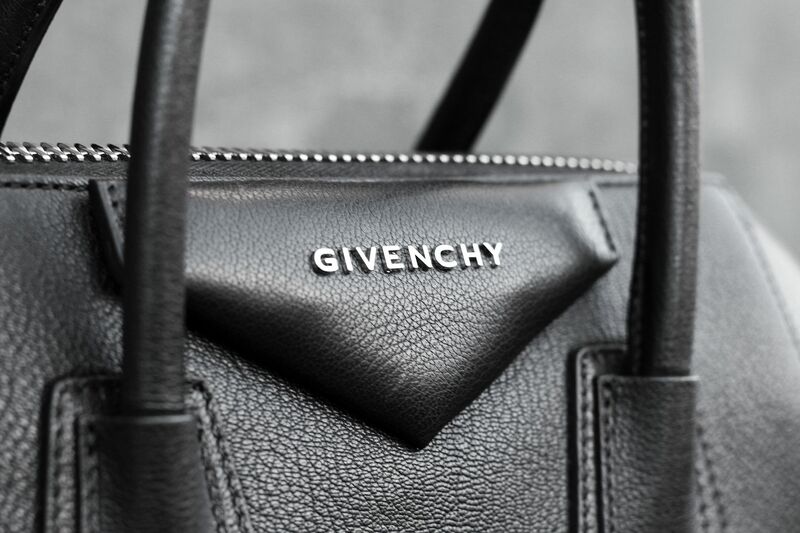 If you're considering a new Givenchy or other luxury item but you don't have much in your extra splurge pocket then one thing you could consider is to sell your preloved goods to make room for a new love. And there's never been a better time to sell your luxury items then between then now! 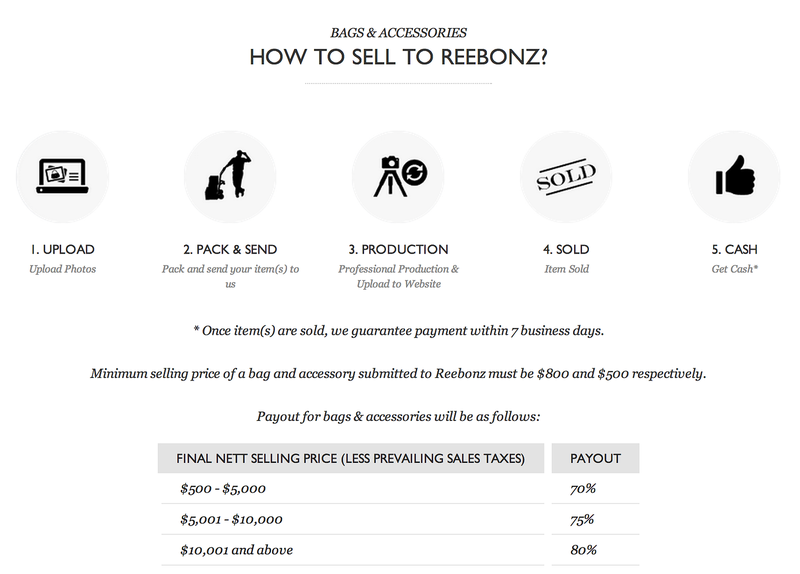 Between the 7th - 20th of July, if you consign and sell your luxury goods through Reebonz you will receive a payout of 80% instead of the usual 70%.